The ongoing controversy in the Supreme Court involving judicial discipline after a three-judge bench overruled the decision of another three-judge bench centres around the interpretation of Section 24 of the Right to Fair Compensation and Transparency in Land Acquisition, Rehabilitation and Resettlement Act, 2013 (RFCTLARR Act). This provision deals with the question when the land acquisition process under the previous Land Acquisition Act of 1894 shall be deemed to have lapsed. The bench of Justices Arun Mishra, Adarsh Kumar Goel and Mohan M Shantanagoudar, with the last judge dissenting, held on February 8 in Indore Development Authority that the 2014 judgment in Pune Municipal Corporation – also delivered by a three-Judge bench on the subject – is per incuriam. With the Chief Justice of India, Dipak Misra, assigning this case for resolution by a five-Judge Constitution bench, from March 6, the issue is likely to be debated at length in the coming days. 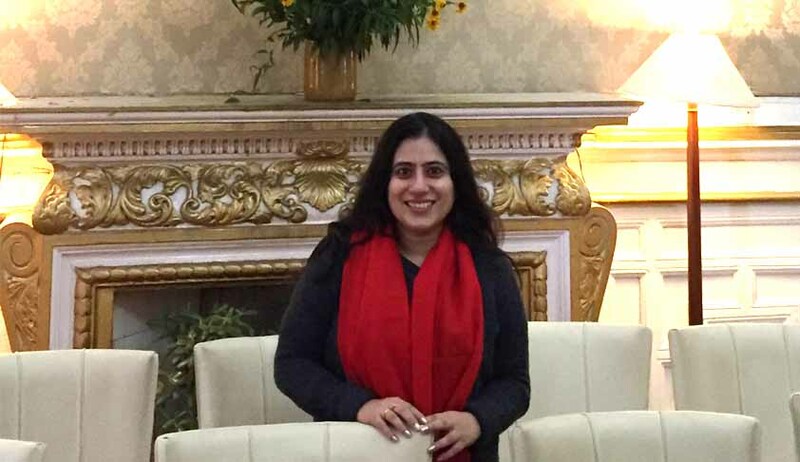 Dr. Namita Wahi, who leads the Land Rights Initiative at Centre for Policy Research, New Delhi, and has done pioneering research on the subject, answers the questions posed by LiveLaw, considering the recent events in the Supreme Court. LIVELAW: On the face of it, it appears as though the 2014 judgment wanted to extend the benefit of higher compensation under the 2013 Act to all those who did not get compensation under the 1894 Act, whereas the Arun Mishra bench is in favour of treating the proviso to Section 24 of the Act, as a restriction on such wholesale extension of benefit. In other words, is the nuanced distinction which Arun Mishra bench makes between payment of compensation, and the deposit of the compensation amount in the account of beneficiaries, in the February 8 judgment, valid? NAMITA WAHI: Section 24 of the "RFCTLARR Act" provides for retrospective operation of that Act to pending acquisitions under the Land Acquisition Act, 1894. Section 24, clause (1) of the Act provides, that in case of a pending land acquisition proceeding, where a compensation award has not been passed under the 1894 Act, then the land losers would be entitled to compensation under the RFCTLARR Act. Section 24, clause (2) of the Act provides that in case a compensation award has been made under the Land Acquisition Act, 1894, but one of two conditions is satisfied, then the land acquisition proceedings under the 1894 Act would be deemed to have lapsed, with the consequence that the government would have to initiate fresh acquisition proceedings under the RFCTLARR Act to proceed with the acquisition. The first condition is where an award of compensation was made five years before the commencement of the RFCTLARR Act, but either physical possession of land was not taken or compensation not paid. The proviso to section 24 outlines the second condition. It states that where an award of compensation was made under the old Act but the compensation amount has not been deposited in the accounts of the majority of the beneficiaries, then all beneficiaries listed in the original notification for acquisition under the 1894 Act, shall be entitled to compensation in accordance with the provisions of the RFCTLARR Act. At issue in both the 2014 decision of the Supreme Court in Pune Municipal Corporation and the 2018 decision in Indore Development Authority is the meaning of the word "paid" in section 24(2) of the RFCTLARR Act and the word "deposit" in the accounts of beneficiaries in the proviso to section 24(2). Justice Lodha writing for a unanimous three judge bench of the court in the Pune Municipal Corporation case, held that the word "paid" in section 24(2) has to be read in light of section 31(2) of the Land Acquisition Act, 1894. Section 31 of the 1894 Act, makes provision for payment of compensation or deposit of the same in the court. Section 31(1) of the 1894 Act mandates the Collector to "tender payment" of compensation as awarded by him to the persons interested who are entitled to compensation. But if the compensation is not actually paid to the land losers either because they refuse to accept the compensation, or because of other contingencies listed in that section, then the Collector can discharge his obligation to pay the compensation by depositing it in the court where the land losers have sought a reference under the 1894 Act. Applying this interpretation to the case before him, Justice Lodha concluded that because the Pune Municipal Corporation had deposited the compensation in the treasury and not in court, therefore, the acquisition proceedings would be deemed to have lapsed under section 24(2) of the Act. Over the last four years, both published and unpublished CPR Land Rights Initiative data shows that 245 Supreme Court decisions and about a thousand High Court decisions have followed the Pune Municipal Corporation case in their interpretation of section 24(2) and quashed acquisitions when compensation intended for beneficiaries was not deposited in Court. Last month, in another three judge bench decision of the Supreme Court in the Indore Development Authority case, Justice Arun Mishra writing for the Court has held that the Supreme Court in the Pune Municipal Corporation case, ignored rules made by various state governments under section 55 of the Land Acquisition Act, 1894, in arriving at its decision. These rules including those made by the states of Bihar, Orissa, Karnataka, Assam, and Punjab, provide that where a beneficiary seeks no reference to court contesting the compensation award but nevertheless refuses to accept the compensation from the Collector, then the Collector must deposit compensation in the government treasury. From this review, Justice Mishra concludes that where the land losers make reference to the Court, then the compensation amount must be deposited in court in accordance with section 31(2) of the 1894 Act, but where they don't make a reference to court and don't accept the compensation, then the Collector discharges his responsibility by depositing the compensation in the government treasury. LIVELAW: What are the implications of adopting the interpretation of Section 24, as held by Arun Mishra bench, in contrast to the one followed by R.M. Lodha bench in 2014? What have been the consequences after 2014 and since February 8, this year, following the judgment of Arun Mishra bench? NAMITA WAHI: The consequence of Justice Mishra's judgment is that only those beneficiaries who have pending litigation in court with respect to their compensation claims can avail of the interpretation that compensation amounts must be deposited in Court, and if they haven't been deposited in that manner, then the acquisition proceedings would be quashed. For all other beneficiaries who have not accepted the compensation but have brought no claims before the Reference Court, so long as the government has deposited their compensation amounts in the treasury, the acquisition proceedings will no longer be deemed to have lapsed. Whereas under Justice Lodha's judgment in Pune Municipal Corporation, all beneficiaries could have sought quashing of acquisition proceedings if the government had not deposited the compensation in Court even if it had deposited compensation in the government treasury, whether or not they had brought a reference to the Court on their compensation claims. I would say that the distinction Justice Mishra makes is conceivable but appears laboured based on a reading of the text of the RFCTLARR 2013 and the context within which it was enacted. LIVELAW The Land Rights Initiative has studied the nature and scope of the cases heard by the Supreme Court on the land acquisition issue in recent years. Can you tell us why is Section 24 such a contentious issue in these litigations, and whether the drafting of the provision leaves much to be desired? NAMITA WAHI: Section 24 has been the most litigated provision ever since the RFCTLARR Act came into force on January 1, 2014. The CPR Land Rights Initiative's published and unpublished data of all Supreme Court litigation with respect to the RFCTLARR Act, 2013, numbering 322 cases, reveals that 97% of all cases decided by the Supreme Court in the four years since the Act came into force were brought under section 24 of the Act. In 92% of the cases brought under section 24 of the RFCTLARR Act, the Supreme Court quashed land acquisition proceedings. Around three-fourths of all cases decided by the Court pursuant to section 24 of the Act are those where compensation awards have been passed five years prior to the RFCTLARR Act coming into force, and compensation not been paid, which is squarely the issue before the Supreme Court in both the Pune Municipal Corporation and Indore Development Authority cases. What that means is that Justice Mishra's judgment will have far-reaching consequences on the vast majority of pending litigation under section 24 before the High Courts and the Supreme Court. It also means that the judgment will overturn the interpretation followed by the Supreme Court in 245 decisions and more than a thousand High Court decisions that have been rendered since the Pune Municipal Corporation case. It is true that the RFCTLARR Act is not an example of good legal drafting. But the reason why we are seeing so much litigation under section 24 is not because it is particularly poorly drafted as compared to the rest of the Act but because it has retrospective application. The first implication of retrospectivity is that section 24 applies to pending acquisitions, and therefore it is the first provision to be litigated by the parties who are seeking the benefit of the provisions of the RFCTLARR Act. For the first two or three years after the RFCTLARR Act came into force, both the central and state governments were not trying to implement the provisions of the Act. Instead, they had focused their efforts on bypassing the provisions of the RFCTLARR by amending the Act first through the central Ordinance in 2014 and 2015, and then through state amendments post lapse of the Ordinance, or through delegated legislation as in the case of Telangana. So, it is only in the last year or so that state governments have begun to prospectively apply the RFCTLARR Act and undertake acquisitions pursuant to the same. If the provisions of the RFCTLARR Act are not even applied for fresh acquisitions, then there is no question of their being litigated before the courts. The second implication of retrospectivity is its inherently contentious nature. Even though retrospective operation of laws is permissible, it is discouraged because it runs afoul of the internal morality of law. As I have said before in my interview on demonetisation, for any legal system, particularly one in a constitutional democracy to function effectively, laws must follow a certain "internal morality". Rules must be (1) of general application, (2) publicly promulgated, (3) prospective (4) intelligible, (5) free of contradictions, (6) relatively constant, (7) possible to obey, and (8) administered in a way that does not wildly diverge from their obvious or apparent meaning. Therefore, retrospective operation of laws is inherently iniquitous and must be permitted only in the rare instances where the equities that are sought to be achieved through retrospective operation outweigh the iniquitous consequences of that action. Obviously, after considerable deliberation over a period of several years, Parliament decided that the benefit of the RFCTLARR Act, 2013, which was enacted to redress the historic injustices caused by the Land Acquisition Act, 1894, should be available to land losers in pending acquisition proceedings and that led to the inclusion of section 24 in the Act. As Justice Nariman wrote in his 2016 judgment in Sukhbir Singh v. DDA, through section 24, the legislature is in effect telling "the executive that they ought to have put their house in order and completed the acquisition proceedings within a reasonable time after pronouncement of award. Not having done so even after a leeway of five years is given, would cross the limits of legislative tolerance, after which the whole proceeding would be deemed to have lapsed." Clearly, Parliament by including section 24 in the RFCTLARR Act, 2013, felt that the balance of equities lay in favour of the land losers. But of course, such retrospective operation would invariably impede existing acquisition proceedings especially since we know from the CPR Land Rights Initiative data that a large number of land acquisition proceedings are not completed by the government within 5 years. That's why we are having so much litigation with respect to this provision and why this has been so contentious. LIVELAW: In the February 8 judgment, the Justice Arun Mishra bench also says that the 2014 judgment by the Justice R.M. Lodha bench (also comprising justices Madan B.Lokur and Kurian Joseph) need not have dealt with the compensation issue, because the High Court had quashed the acquisition in that case, that is, Pune Municipal Corporation v Harakchand Misirimal Solanki. Therefore, the Court in Indore Development Authority considers the observations of the Court in Pune Municipal Corporation on compensation as obiter, and concludes that they should be treated as per incuriam. What are your thoughts on the issue? Is the Indore Development Authority judgment correct in its analysis? NAMITA WAHI: I found Justice Arun Mishra's judgment in the Indore Development Authority case somewhat peculiar, insofar as it chooses to interpret a legislation enacted primarily to confer greater benefits on land losers in a way that is cavalier, if not downright hostile, to the interests of those landlosers. Spattered across the pages of Justice Mishra's judgment are references to the wrongdoings of the landlosers, without any discussion of how and why not all beneficiary land losers may have been able to bring a reference to the court even as they did not accept the compensation award. Whereas we know from the debates that led up to the drafting of the RFCTLARR Act, that in a coercive expropriatory legislation like the Land Acquisition Act, 1894, the provisions of the law were heavily tilted in favour of the government. Moreover, the CPR Land Rights Initiative Report on "Land Acquisition in India: A Review of Supreme Court cases from 1950 to 2016", which is the most comprehensive study of all 1269 cases decided by the Supreme Court under the Land Acquisition Act, clearly shows that not only was the law tilted in favour of the government, the Supreme Court in a majority of cases found the government failing to comply with the rule of law both with respect to the payment of compensation and the completion of the acquisition procedure. There is a complete omission of mention of this context which framed the drafting and adoption of the RFCTLARR Act in the judgment by Justice Mishra. Moreover, even though the judgment refers to the deliberations with respect to the adoption of the RFCTLARR (Amendment) Ordinance, 2015, there is no reference to the parliamentary debates surrounding the enactment of the RFCTLARR Act or the parliamentary standing committee report on the same. To be sure, the issue before the Supreme Court is not so simple to resolve because there do exist equities on the side of both the government and the land losers and therefore, it is an issue on which reasonable minds can disagree. Quashing of pending acquisitions affects ongoing development work, and therefore, the Court must read the provisions in a way that does justice to both parties, the government and the land losers. With that goal in mind, there is some degree of plausibility with respect to Justice Mishra's interpretation of the proviso to section 24. But on the whole I think, Justice Mishra's interpretation appears laboured, and not supported by the text of the Act or its legislative intent. Justice Lodha's interpretation seems more in consonance with the text of section 24 read in light of other provisions of the RFCTLARR Act and the context of its enactment. More importantly, Justice Mishra's judgment is completely implausible in its assertion that the Pune Municipal Corporation judgment on the interpretation of the word "paid" in section 24(2) by Justice Lodha is both obiter and per incuriam. In fact, it is curious why Justice Mishra would go to great lengths to show that Justice Lodha's judgment is both obiter and per incuriam, because if it is obiter, then the three-judge bench of the Supreme Court led by Justice Mishra, would not be bound by it, and would not have to hold it per incuriam to reach a contrary decision. Justice Mishra asserts that since the High Court had already quashed the acquisition proceedings by the Pune Municipal Corporation, that was no longer in issue before the Supreme Court. But since the Pune Municipal Corporation went in appeal to the Supreme Court against the quashing of the proceedings, and whether those proceedings should be quashed or not was dependent upon the interpretation of the word "paid" in section 24(2) read with the proviso, it is not clear to me how the judgment of the Court in Pune Municipal Corporation was obiter. And clearly, 245 decisions of the Supreme Court since then have not found it to be obiter. On the question of per incuriam, I am inclined to agree with Justice Shantanagouder who in his separate judgment dissents on this finding by Justice Mishra. Justice Shantanagouder holds that even though he may not agree with the conclusions reached by Justice Lodha in the Pune Municipal Corporation case, the Court in that case considered in detail the implications of depositing compensation in court and in the treasury. Merely because the rules framed by various state governments under section 55 of the Land Acquisition Act, 1894, were not referenced by the Court in its judgment, that does not mean that the Court did not consider the effect of those rules. In fact, Justice Shantanagouder notes that the 2016 judgment of the Supreme Court in Sukhbir Singh v. DDA, did take into account the Rules framed by the Delhi, Punjab, and Haryana governments that have also been referenced by Justice Mishra, and nevertheless agreed with the interpretation of the Court in the Pune Municipal Corporation case. Moreover, since the Pune Municipal Corporation case was the first interpretation of the Court on this issue, it could not be said to have ignored previous cases on this point. Therefore, there doesn't seem to be any rationale for saying that Justice Lodha's judgment in Pune Municipal Corporation is per incuriam. If Justice Mishra's interpretation holds, we may see a reduction in the Supreme Court's rate of quashing of acquisition proceedings compared to the 92% quashing rate that we have seen in the four years since Justice Lodha's judgment based on CPR Land Rights Initiative data. The reference to the constitution bench, however, means that the effect of both Justice Lodha's and Justice Mishra's judgments is stayed till the Court renders its judgment on whether Justice Mishra's judgment was correct in its finding that Justice Lodha's judgment was per incuriam. Based on my reading of the applicable law, I would be very surprised if the constitution bench agrees with Justice Mishra on this point. LIVELAW: The Madan B. Lokur bench wanted to hear the parties on the question of reference, by posting the matter to be heard on March 7. However, the CJI has pre-empted the hearing by posting the Indore Development Authority case before the five-Judge bench, to be heard on March 6. Therefore, will the case which the Lokur bench posted for hearing on March 7, become infructuous? NAMITA WAHI: I think Chief Justice Dipak Mishra has done what Justice Arun Mishra should have done in the first place in the interests of judicial discipline and maintaining the sanctity of judicial precedent. When there are two conflicting interpretations of a legal provision by two benches of equal strength in the Supreme Court, the correct course of action is to refer the matter to a larger bench so as to ensure that the law is certain and free of contradictions, thereby satisfying the requirements of judicial discipline stemming from the requirements of "internal morality" of the law. We need a constitution bench reference anyway because the Supreme Court is also hearing an appeal filed against the judgment of the Gujarat High Court in the case of Reliance Industries Limited v. Union of India, where the petitioners had argued that section 24 is unconstitutional. While the Gujarat High Court did not uphold that contention, it has read Section 24 down to exclude acquisition proceedings for companies from its application. This, in my opinion, is a controversial interpretation and needs to be duly deliberated upon by a constitution bench of the Supreme Court. The appeal, filed by landowners, whose lands were acquired for Reliance, [Narbheshanker Prabhashanker Khetia & Ors v Union of India -SLP (civil) 37335 of 2017] is listed before the bench of Justice Arun Mishra and Justice Shantanagoudar on March 13, but perhaps it makes sense for this matter also to be referred to the constitution bench. Ultimately, we have to remember that the RFCTLARR Act, 2013 was enacted to expand the rights of land losers against the coercive expropriation of their land by the state following an extensive process of deliberation and engagement in Parliament, government, and civil society that lasted almost a decade. The Supreme Court constitutionally ordained to be the ultimate protector and guarantor of the rights of the people must refrain from interpreting the law in a manner that diminishes the rights of land losers vis-à-vis the state.